Members of the National House of Chiefs (NHC), have expressed grave concern about the increasing interference of politicians in chieftaincy matters. They said the phenomenon, which had assumed alarming proportions in recent times was fuelling the escalation of chieftaincy disputes in many parts of the country. 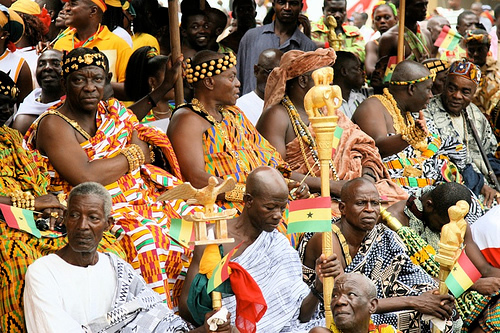 A statement signed by Togbe Afede XIV and issued in Kumasi said the unnecessary interference of politicians to distort due processes in chieftaincy matters was dangerous to the existing peace and stability of the nation. It therefore advised politicians to refrain from using their positions of authority to interfere in issues of chieftaincy. The statement also urged chiefs involved in chieftaincy disputes to ensure that they adhered to due process of law and procedure laid down by relevant statutes on chieftaincy, instead of resorting to political influence. It further urged politicians to be bold to advice chiefs who tried to seek their influence in chieftaincy matters, to rather resort to the use of due process of the law in the resolution of the dispute. Members of the House also expressed concern about polarization and political tension that had engulfed the country in recent times. They are concerned about the high incidence of partisanship and politics of equalisation that had characterised discussions and debates on national issues, especially in the media. The House stressed the need for politicians to be very concern with the matters affecting the people instead of twisting facts to suit their parochial political interests. Politicians should place Ghana first in all their dealings and respect the views of each other to reduce tension which had characterise the political space.